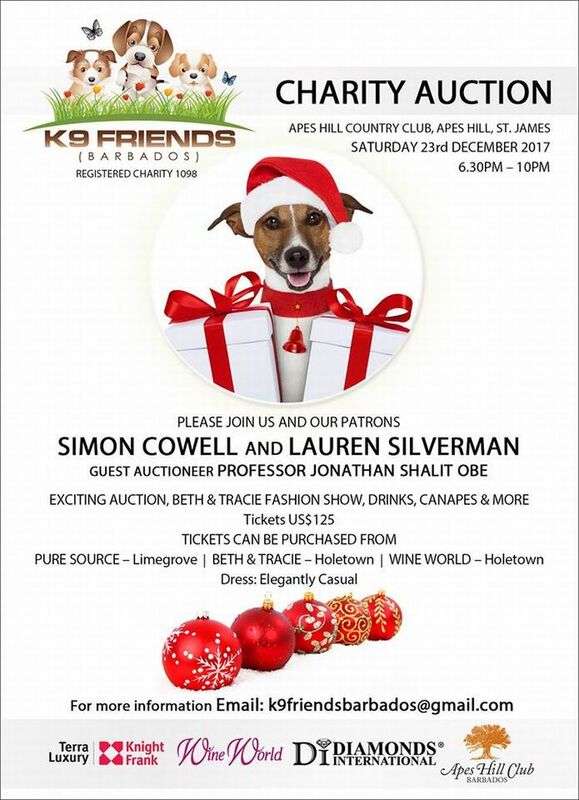 K9 Friends Barbados invites you to their Annual Fundraising Charity Auction with their patrons Simon Cowell and Lauren Silverman. There will be a Fashion Show by Beth and Tracie, with guest Auctioneer Prof. Jonathan Shalit Obe. All clothes donated for auction. 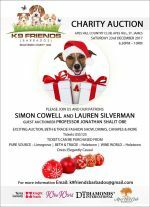 Also enjoy the Raffle and a great Auction. Lots of wonderful prizes to bid for, including tickets for Brit Awards and a pair of Anthony Joshua's boxing gloves.